Copyright 1998 by Tracy Marks. Ilia Kulik was born May 23, 1977 in Moscow, Russia, and began skating by the age of six. He won the Russian Junior Nationals competition in 1994, followed by the Nebelhorn Trophy in 1994, and Junior Worlds and European Championships in 1995, at the age of 17. 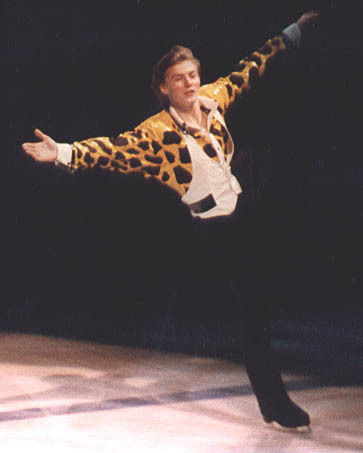 His greatest moment of glory was winning the 1998 Olympics in men's figure skating while wearing his notorious giraffe shirt, and performing a quadruple jump. 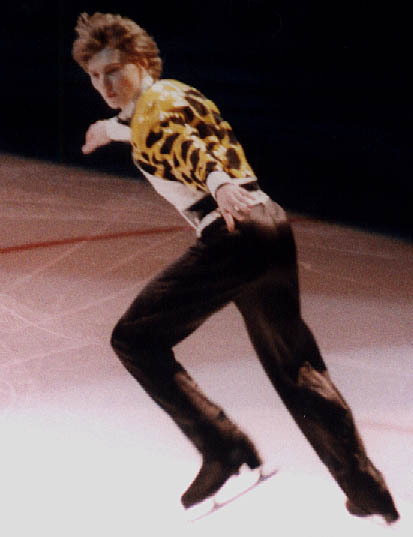 Ilia Kulik began skating as a pro skater soon after he won the Winter Olympics, touring initially with Champions on Ice, and then Stars on Ice figure skating shows. He also acted in the film, Center Stage. After several years of skating and touring with fellow Russian figure skating champion Ekaterina Gordeeva, and dating since 1998, Ilia and Katia gave birth to a daughter, Elizaveta in 2001. They married in June 2002, and moved from Simsbury, Connecticut to southern California.